2015 promises to be a fantastic year for the motoring industry as new-car registrations continue to climb year-on-year. Volkswagen, in particular, will be hoping their year is especially productive with an extensive range of what looks to be some truly fantastic vehicles poised to be released over the course of the next 12 months. VW remain one of the, if not the msot famous manufacturers in the world, and this reputation shows no signs of ceasing following the production of what proved to be some of last year's most popular vehicles. We decided to take a look at some of the vehicles preparing for their big moment in 2015. Two models that are believed to be based on the successful High Up! and have already begun taking orders before their eventual delivery in March. According to the VW website, features will include heated front seats, front fog lights and a portable infotainment system. Including a three-cylinder engine and five-speed manual gearbox the vehicles will be powered by the Up! 's 1.0-litre petrol engine that is capable of providing 75PS at 6,200 rpm, and returns 60.1 mpg and emits a minimal 108g/km CO2. A maximum torque of 95 Nm is also produced between 3,000 and 4,300 rpm. 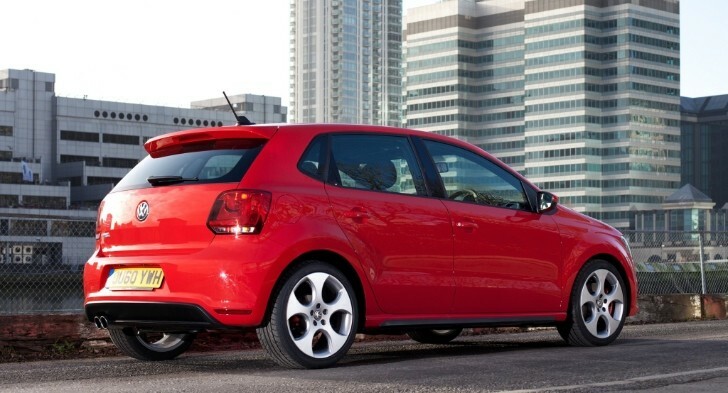 The stats are impressive and VW has also promised ''even more styling features''. Volkswagen are continuing a greater emphasis on quality electric vehicles and will partner the impressive looking (and performing) E-Up! and E-Golf with a fresh new additions. The GTE is intended to slip inbetween the petrol powered GTI and it's diesel counterpart the the GTD, and will be powered by a combination of engines: A 102 PC Electric Motor and a 1.4-litre 150 PS TSI Petrol Engine. The vehicle's range will be upwards of 500 miles, with torque reaching 350 Nm and a full power ability of 204 PS. A six-speed DSG Gearbox has been developed primarily for hybrid vehicles and will be included as standard. Volkswagen describes the Golf GTI and Polo GTI - two darlings of it's range over the last decade - as 'often copied, never equalled' and they may have a point. The two vehicles remain undoubtedly Volkswagen's most well-known vehicles and their appearance, while adapted over time, still remains incredibly iconic and sharp. VW will begin shipping the first versions of this model in March 2015, just in time for the new-registration plates, and will hope the most recent addition to the Polo family will not disappoint. Making it's debut at Paris in October, the Polo GTI will offer a 1.8-litre (1,798 cc) turbocharged petrol engine capable of delivering an exceptional 192 PS between 4,200 and 6,200 rpm. There will be a choice of a six-speed manual gearbxo or seven-speed DSG auto gearbox. The Passat Alltrack was revealed at the Paris Motor Show way back in October and will debut on the roads from the summer of 2015 onwards. The original intentions of this vehicle were to close a widening gap between VW's on and off-road offerings, something they did very successfully with the original Passat Alltrack model. The stand-out features on the exterior will include newly designed bumpers, but a design that remains very Golf-like in it's edges and outer finishes. Other features start with a 4MOTION all-wheel drive system, higher ground clearance, wheel arch moudlings and flared side sills in order to provide body protection. The vehicle will offer a sprint time of 7.8 seconds between 0-62, and the main petrol engine choice will be a 177bhp 1.8 TSI engine and the diesels on offer are all fairly predictable, including a 108bhp 1.6 TDI providing 0-62mph in 12.1 seconds, 60mpg and 124g/km of CO2. A vehicle that promises much, for sure. The Golf R-Line offers a sports package extention to the heavily successful Volkswagen Golf R model which has enjoyed it's moment in the limelight over the last few years and brings with it R-Line sports suspension, progressive steering and tinted windows. The Golf R-Line will certainly look the part with a refined and cutting edge exterior looks that alongside a brainy and powerful engine will provide a thrilling driving experience for any potential driver. The Exterior Package for the R-Line will include a rear spoiler, fog light, a new front grille and bold and edgy front and rear bumpers, side sills and a black rear diffuser. The R-Line is yet to be confirmed for UK release, but gives a good indication of VW's plans for the Golf and it's R models. The interior package offers front sports seats, flat-bottomed steering wheel, stainless steel pedals and a plethora of leather types for an added cost. Due to the enhanced level of new-car registrations over the last few years, leasing is an area of the industry that is expected to continue to accelerate at an incredible rate and it is undoubted that VW will be pushing these stunning vehicles through every single avenue. We can offer an instant no-obligation quote on any model in Volkswagen Lease, email: info@selectcontracts.co.uk or call: 0845 6770 770.